The wind has nothing on you if you're sporting this puppy. Water-resistant finish so it can handle some drizzle too. Rainbow ribbing and custom zipper with the ML sun on it put a modern spin on a vintage classic. 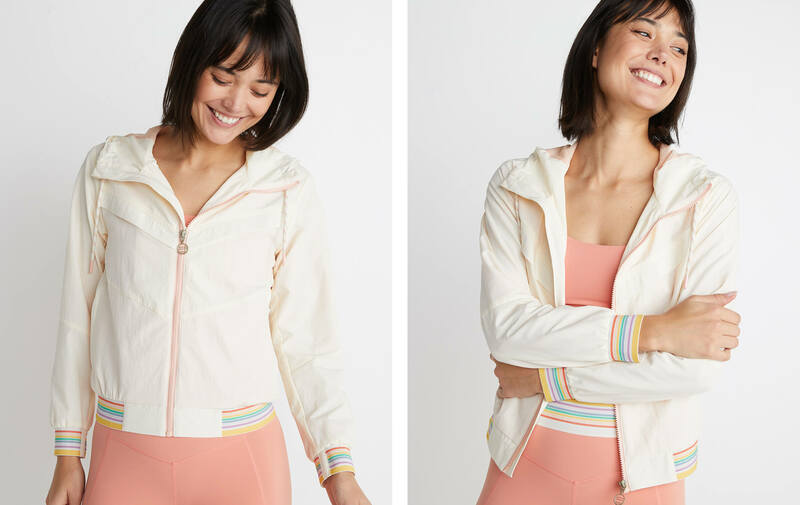 This new fabric has it all: a mesh lining for extra breathability, added spandex for stretch, water-resistant finish, and a nylon shell that can handle even the strongest of winds.